Welcome to the third and final installment of my series on aliens in Star Wars! You can find Parts 1 and 2 here and here. Before we get back into my regularly scheduled blog, I want to give a shout out to fellow blogger Melinda for her constructive comments on my controversial previous post, which encouraged me to tweak some things in this entry, as well a very special thanks to Nien Nunb himself, Mike Quinn, for his enlightening comments on Part 2. Mike Quinn was the notable Star Wars puppeteer who played Lando’s chinless co-pilot in Return of the Jedi! I found a pretty thorough, captivating interview with Quinn from 2006 conducted by Star Wars Interviews. Check it out after you read this! As my series on the role of the alien in Star Wars wraps up, I want to assure you that this is a discussion of aliens, not race. However, the two almost go hand in hand; race is a social construct, meaning it doesn’t actually exist. We’re all just human. It’s society that creates these boundaries, that makes people of color the “other,” or the “outsider,” which is essentially synonymous with the word “alien.” Does Qui-Gon call Watto an “alien”? 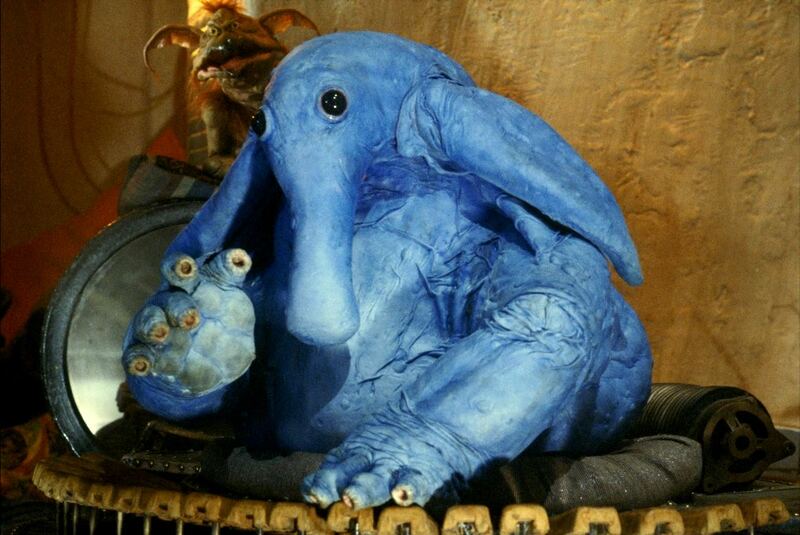 No, he likely knows he’s a Toydarian. 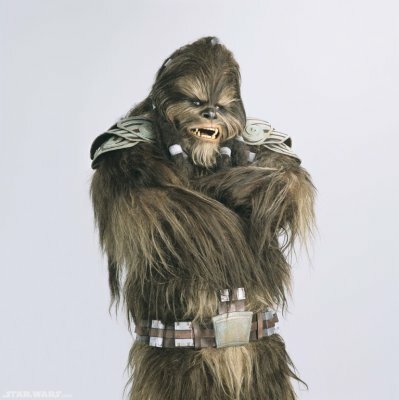 Is Chewbacca ever called an “alien”? No, he’s a walking carpet! I mean Wookiee! The word “alien” is never even used in the entire saga, but they still represent a marginalized population. Aliens have equal rights in Star Wars, from the Senate in Coruscant to the slave rings in the Outer Rim. In fact, they tend to take the role of oppressor just as often as they take the role of the oppressed, particularly in the prequels. 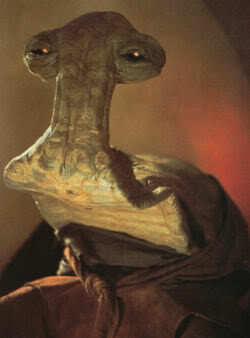 Watto was a well-known slave owner, and he had at least two human slaves (the Skywalkers) that we saw on film. Even the Skywalkers were purchased from Gardulla the Hutt, who is as far from human as an alien can get. 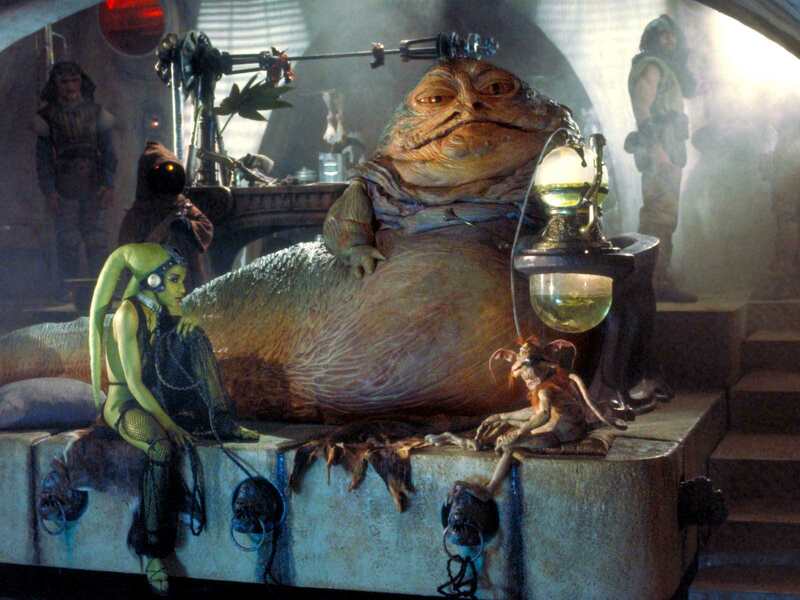 And, of course, there’s Jabba, who enslaved other aliens, but displayed Leia like a trophy once she was in his possession. Even the Neimoidian-operated Trade Federation held the human-ruled planet of Naboo for ransom, putting them into the role of villains. It’s very easy for an audience to identify and sympathize with the human characters and to see the aliens as the villains; they’re unfamiliar to us and they don’t look like us. While not all aliens are bad, we tend to see them all negatively when they do bad things to humans. This sort of embedded “other”-ization is comparable to some Americans’ inability to determine the difference between Islamic extremists and typical, peaceful practicers of the Islamic faith. When we don’t understand something, we generalize. It’s human nature. Whether you take them as cultural foils, representatives of diversity, racist caricatures, oppressed minorities, or something entirely different, all fans can agree that aliens hold unique roles in the Star Wars universe. They aren’t your pointy-eared Vulcans; our aliens eat through their fingers, have terrible back problems, need to brush their coats every morning, and are too fat to walk, and, good or bad, we love every last one of them. Stay glued to the Coffee with Kenobi Blog this time next month for my next blog post! *Oppression can be a very complex concept. Star Wars are very broad films. If you are confused by the concept that the majority is inherently oppressive, I suggest looking into John Adams’ notion of “the tyranny of the majority.” I can concede that I may be taking things to a far deeper level than necessary, but it’s all in the sake of intellectual discourse, and, not to mention, it’s fun! You have raised the bar for Blog posts with this, my friend. Really well done! Smart and insightful; I particularly like how you tied in John Adams and social constructs of race. Well written, Alex. It isn’t that I don’t understand the point you have made (or attempted to make) with your 3-part series. It Iis that I disagree to a certain extent. First, the Empire most definitely was anti-alien (at least as portrayed in the 6 films). This is brought out well in the novelizations of the OT. And while his comment may have been construed to be aimed at the bounty hunters, Admiral Piett’s scornful remark, “Bounty hunters. We don’t need that scum.” really was directed at all non-human beings. (Like I said, this is explained more in depth in the novels.) So, here we have the humans – the ruling humans – in a very non-likable position in the Saga. I know some folk might claim I’m just splitting hairs, but I do not see “alien” and race as going hand in hand. Alien has to do with being different. Race might be one criteria of a difference. Maybe it is a matter of my preference to look at us as being more alike than being more different. I do not look at the world through rose-colored glasses; however, I do think there are people who will look for ways to divide us all rather than bring us all together. For the record, Alex, I am not proposing that is what you are inferring. My comments pertain to the faction of SW fans – and non-fans – who have criticized George Lucas and Star Wars, in general, as promoting certain stereotypes. Like I have said before, the stereotypes really don’t exist in SW.
Maybe we see the victimization of the Skywalkers in the PT, but there are plenty of instances where the non-human citizenry is enslaved. Especially with the birth of the Empire. The Wookiees, in particular, were one group of special interest to the Empire, and it was when Chewbacca was a slave that he and Han Solo first came into contact (if I’m not mistaken). Also, as far as the mostly human Jedi army on Geonosis was concerned, I have this to say … While I have not taken a head count, there were plenty of non-human Jedi present (and part of the surviving enclave before Yoda and the Clones appeared to save the day). There is the ol’ bottom line to take into account, too. There may have been a fair number of CGI shots in the prequels, but GL tried to have as many actual humans and humans playing non-human characters included as possible. It costs $$$ to create those “masks”, and if I was GL, I would have tried to save $$$ wherever I could. In addition, look at the Jedi Council, and you’ll see it is comprised of a fair number of “aliens”. I agree with you wholeheartedly that “aliens” hold a very special place in Star Wars. Although my very favorite character in the entire Saga is human, there are a number of non-human characters who make my Top 10 list. Why? Because of who they are as individuals. Plain and simple. I am going to take a gander at the links you provided, so I just might be back to leave some further comments. 😉 (forewarned is forearmed lol) I have loved reading your series, Alex, and I most definitely look forward to your next post. 🙂 Thank you so much for letting me ramble. Even when I have gone afield of your main topic.